Buses and Trains are gonna be my next best friends once I stop staying in hall! Yes people can get tried and grumpy sometimes. But it won't kill having a lil courtesy when taking public transport right? Why can't we all spread the message and be make the ride a great one for all? 2. People who refuse to move into the middle of the train. Why can't you just move to the center of the train so more people can get in? 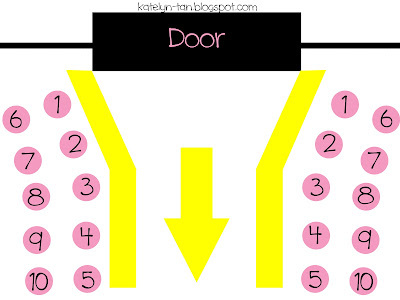 You can still excuse your way out when you want to alight later. It's not as if people won't give way when you want to alight. 3. People who fake sleep when there is a pregnant lady or elderly near them. Worst some just sit there as if nothing is wrong! True that the seat might not be a reserved seat (some sit on reserve seat and do such a thing too) but it does not mean that you can't give up your seat to them. What if that elderly/pregnant lady falls? Do you know how serious that would be? Imagine your wife/old parents/grandparents take a public transport and no one is willing to give up their seat. Would you want such a thing to happen? No right? So do the same for others! 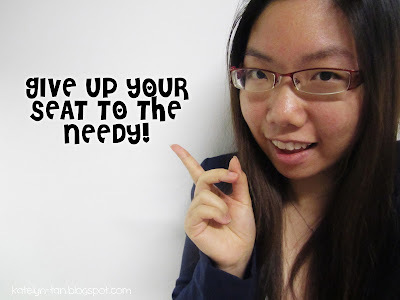 Give up your seats to those in need. 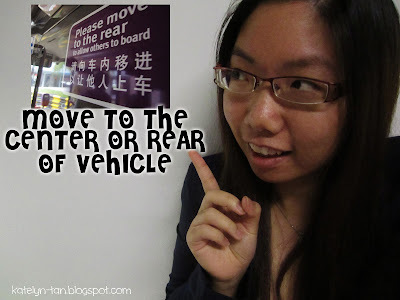 The Graciousness on Public Transport programme is back! This time, you will read poems, reflections and calligraphies from fellow commuters on how to make our journeys more pleasant by being gracious. 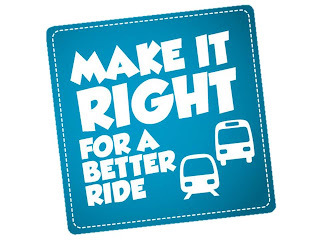 "Make It Right For A Better Ride"
Let me share some here with you and at the same time share how simple it can be for you to make your public transport ride a great one! Do not cut other's queue! No more fake sleeping and stuff (though some might be real), just be more considerate and give your seats to those who need it more than you do. Do not hog the whole space. Try to let as many people board as possible. Others might be rushing as much as you are. So spare a thought for them. So if everyone can do this simple steps, won't the ride be a pleasant one for all? Look at these two posters! 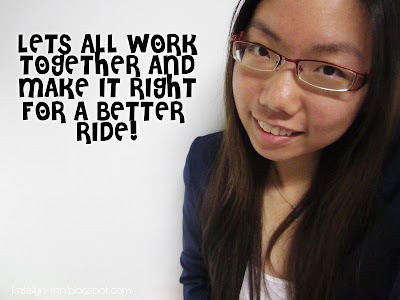 Even kids like Yi Shien and Jia Juan knows how to make the ride a more pleasant one! And all's not lost hope. Look at what I found on the internet! 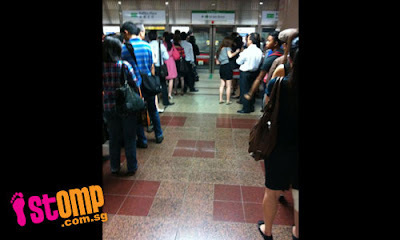 People actually queued to enter the MRT trains! Good right? So we still have hope! So there won't be super long queues that will crowd the whole platform?